Did the builders not even try to keep your home clean? Your home renovation is over and you wish that there was someone else to take care of the mess that was left in your home? You can find the answer to this dilemma at our company. You can have a renovated home and have it sparkling clean right after that. Book our professional after builders cleaning service and you can stay back and let our professional cleaners do the job. We are an agency that has years of practice of providing professional cleaning service and we invite you to book one of our specialities. Our after builders cleaning service is cost-effective and is the most desirable one for help in the entire South West London. Many people choose us for help because we are dependable, flexible and our services are affordable and efficient. Our working hours are also super flexible and we always schedule the appointments according to your convenient time. We will remove paint splashes, glue remains, all industrial debris and dust from your home, etc. Give our company a call at any time and we will send a team to your doorstep at your earliest convenience. 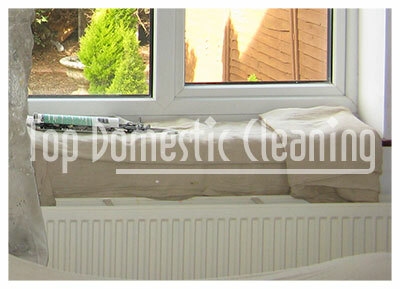 Our cleaners will bring all of the necessary cleaning products and machines. They will vacuum, they will mop floors and polish them, they will clean ceilings, walls, disinfect the bathroom, clean and dust skirting boards, door frames, light fittings and switches, they will clean the windows and window sills, etc. You can feel free to contact our company right now and we will tailor a package that will meet your needs and your budget. You should put your trust into our service and have a peace of mind because we have the most efficient after builders cleaning service in the entire South West London.